Today the word conjures up images of sophistication and elegance, of well-dressed men and women sipping at elegant stemmed glasses in darkened bars—but it wasn’t always that way. While cocktails themselves (or mixed drinks, anyway) have been around since at least the late 1790s in Europe, their association with sophisticated nightlife comes directly from the glittering high-end American speakeasies of the 1920s, where the addition of ingredients like sugar or bitters helped mask the harsh taste of bootleg hooch—and cemented the cocktail as a classic part of American drinking culture. All this mixed drink enthusiasm led to another modern drinking innovation: the cocktail party. Since it was still legal to drink in the confines of your own home according to the Volstead, many people ended up doing just that, rather than risk getting arrested in a speakeasy raid. With just a few key ingredients and whatever extra flavorings you had lying around, anyone could whip together enough drinks on their own to keep all their friends soaked to the gills. Soon “mixing a mean cocktail became one of the manly arts, like carving a holiday turkey.”5 Even women could get in on the act, mixing up drinks for their bridge party gals without needing hordes of servants to set up tables of mint juleps or something. Unsurprisingly, the drinking accouterments industry exploded in response. Reporter John T. Flynn, writing for a 1928 edition of Collier’s, noted that at one New York store he spotted 35 types of cocktail glasses for sale in plain view, including 14 kinds of shakers, 18 varieties of hip flasks, and all manner of wine glasses.6 Another store had so many kinds of “wine glasses, champagne glasses and…whiskey glasses I lost count.”7 A 1929 Chicago Tribune article even mentioned offhandedly that “cocktail glasses with matching glass plates for service of appetizers, and liqueur sets…in distractingly(sic) lovely colors” make great Christmas gifts for friends if you’re at a loss for ideas.8 Mixing guides also made it into the hands of enterprising party hosts. 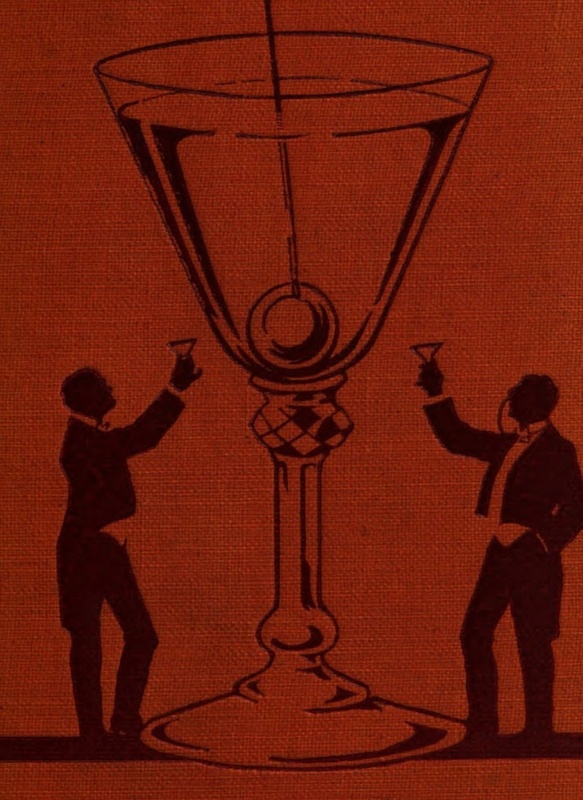 Older books from before the Great War were reissued, and bar-tending guides from Across the Pond were reprinted by American publishers in New York and Chicago for eager readers. So why all this talk about cocktails, you ask? Well, I’m taking a class for the next five weeks, so I thought I’d do a short series on popular 1920s cocktails during that time. Each week will feature some different period cocktail recipes, along with a little history about each drink. After that, I’ll be going back to more varied postings. Hope you enjoy the series. This entry was posted in bootlegging, drink recipes, Social Customs of the 1920s and tagged 1920s cocktail recipes, cocktail party, drinking customs, drinking during Prohibition, history of cocktails, Prohibition cocktail recipes, vintage cocktail recipes. Bookmark the permalink. Hey, you stole me the idea!!! I wanted to do a similar series as well. Can’t wait to read your series. Hah well you totally still can! There are a LOT of period cocktails. Heck you could do whole articles on the martini alone! By the way I’m enjoying your A to Z stuff a lot. It’s fun to see the breadth of your book research, especially the Native American stuff. It’s fascinating. Are there any books you’d recommend for Native history during the 1920s? As for Native history, there is actually a kind of void between the late 1890s – that is Wounded Knee – which is generally considered the end of the Indian Wars, and the 1930s, when the New Deal tried to better life in the reservations as well. This periode is when the Native population is estimated to have been the smaller numbers since the coming of the Europeans in America.